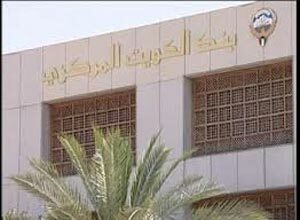 Central Bank of Kuwait (CBK) revenues are estimated by KD 61.777 million (USD 219.01 million) while expenditures were KD 97.607 million (USD 346.04 million), chairman of the parliamentary committee on budget and final account MP Adnan Abdulsamad said Wednesday. “The CBK has 142 job openings for the 2014/2015 fiscal year. The CBK needs to develop human resources and increase the number of Kuwaiti trainees; currently estimated at 85,” Abdulsamad said after the session of the committee. He also urged the CBK to follow up on local banks violating parliamentary decisions regarding the family fund. The committee also discussed CBK’s new headquarters; currently under construction, which is expected to finish and moved into by Q1 of 2015, with a total cost of KD 125 million. Abdulsamad said that the CBK attributed the main reason of issuing a sixth edition of the currency to the fact that the current edition has been trading for 20 years, considering that average of issuing a new currency is seven years on an international level.